Chennai: German commercial vehicle maker Daimler's Indian subsidiary has forayed into Bangladesh market by launching FUSO Trucks manufactured at its plant here, making it the sixth overseas destination. Daimler India Commercial Vehicle, the Indian arm of Stuttgart-based Daimler AG, along with Daimler Group company Mitsubishi Fuso Truck and Bus Corporation, launched FUSO Trucks, in Bangladesh making it as the sixth strategic market since beginning of exports in May 2013. Chennai, April 10 : German automobile major Daimler AG's Indian subsidiary is looking at higher local content in its trucks to be more price competitive and hopes to achieve an operational break even in 2015-2016, a top company official said Thursday. Currently the company sells Actros vehicles for the mining segment which has high level of import content, making it costly. Beijing, May 10 : German automaker Daimler AG has begun a trial production at its first overseas engine plant in China ahead of its full operation scheduled later this year. Construction of the plant started in July 2011 and is expected to be fully operational in October, reported Xinhua. The plant is a subsidiary of Beijing Benz Automobile Co., Ltd. (BBAC), a joint venture between BAIC Motor, Daimler AG and Daimler Greater China Ltd that manufactures Mercedes-Benz cars. Three types of Mercedes-Benz engines, M270, M274 and M276, will be assembled at the plant, which has an initial annual capacity of 300,000 units. Chennai, April 1 : German automobile group Daimler restructured its commercial vehicles operations in India by integrating its Mercedes Benz bus division with its truck-making company Daimler India Commercial Vehicles Pvt Ltd (DICV), said a statement. In a statement issued here Monday, Daimler India - a wholly owned subsidiary of Daimler - said the marketing, sales and service operations of Mercedes Benz-badged buses has been integrated with itself. 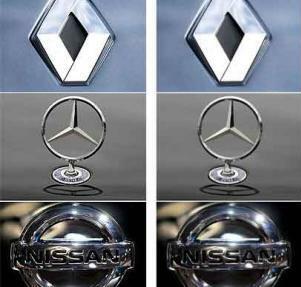 The business was until now handled by Mercedes-Benz India Pvt. Ltd., Pune. Commercial vehicle manufacturer Daimler India Commercial Vehicles (DICV) on Wednesday announced the launch of its three heavy duty trucks in the Indian market. The three heavy duty trucks in the 25 tonne and 31 tonne categories have been launched under the brand name Bharat Benz. The trucks cost in the price range of 15.7 lakh to 23.1 lakh. The new range of Dailmer trucks will be available for purchase from October 3 through a network of twenty-eight dealerships spread across the country. While the debate between the biggest market among India and China is still on as experts are giving their own point of views to support both the options, China's Beiqi Foton Motor Co, a Daimler AG partner, is believed to be planning for a plant in the Indian market that will be capable of producing 1 lakh unit per annum. According to the sources familiar with the matter, the company has already established an Indian team for the same is now hunting for a location in the country for its operations. Daimler Commercial Vehicle India Ltd has announced that it will establish a facility near Chennai to produce commercial vehicles. The company stated that it would make an investment of Rs 4,400 crore by the next five years to make light, medium and heavy commercial vehicles. Marc Llistosella, chief executive of the company, made this announcement after inaugurating a truck testing facility of the firm. Marc added that the upcoming facility will have an initial production capacity of 36,000 units during the initial stage, which will be lifted up to 75,000 units. After suffering the worst year of 2009 and scrapping the dividend after as long as 14 years, Daimler is looking at exiting Tata Motors' via block deals. The company was selling its 5.84% stake in Tata Motors at a discount of around 4-7% as compared to Tata Motors' close price of Monday which stood at Rs. 796.75. Rastatt, Germany - Carmaker Daimler plans to invest 3 billion euros (4.5 billion dollars) in its German operations over the next two years, chief executive Dieter Zetsche said Thursday. Zetsche said 600 million euros would go towards expanding the plant at Rastatt, where the luxury Mercedes A-class and B-class compact cars are produced. Zetsche said Mercedes planned to increase the number of A-Class and B-Class models from two to four, with some of them being produced at a factory currently under construction in Hungary. Stuttgart, Germany - Rival luxury German carmakers - BMW and Daimler - are continuing to build closer ties including a hybrid vehicle, a senior Daimler executive said in Stuttgart on Monday. "We have a good relationship," said Thomas Weber, research chief for Daimler, which is the manufacturer of Mercedes-Benz vehicles with the two groups' development officers holding regular meetings. Weber said it was sensible that the two carmakers continued their cooperation even when the current hybrid car project comes to an end later this year.